Boasting a balcony with hammocks and views to the pool and garden, this accommodations is ideal for singles or couples and for families. 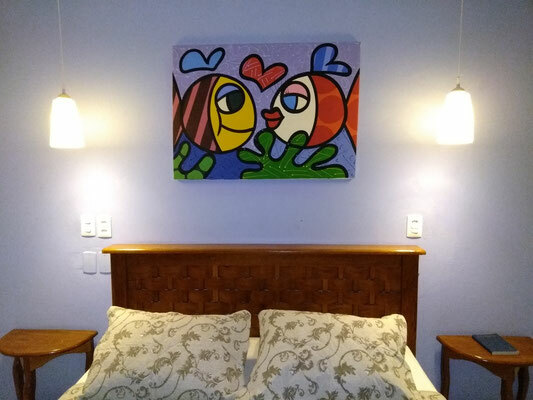 This chalet has one double bed Queen size, offers: Air-conditioning, Flat-screen TV, Wi-Fi, minibar, safe, private bathroom with electric shower and hairdryer. Bedroom: 1 Queen size bed + 1 Single bed. Occupancy Max: 3 Guest + 1 Children under 12 years. Obs: Located on the ground floor. Balcony with hammock overlooking pool and garden. Free: All children under 11 years! Included in the daily rate: Breakfast; Wi-Fi, cleaning. Non-Refundable: If you cancel, change or in case of no-show, the guest will not be entitled to a refund of the amount paid or credit in new nights. Remainder 50% of the total value at Check-In. If you cancel or change late or in case of no-show, the guest will not be entitled to a refund of the amount paid or credit in new nights. If you cancel, change or in case of no-show, the guest will not be entitled to a refund of the amount paid or credit in new nights. This accomodation is the most exclusive of all the pousada, is ideal to enjoy and relax, revitalize your body and recover the energy. For your comfort and well-being, this chalet is complete with: Air conditioning, Queen size bed and has a Flat-screen TV 39", Satellite Channels, minibar and safe. 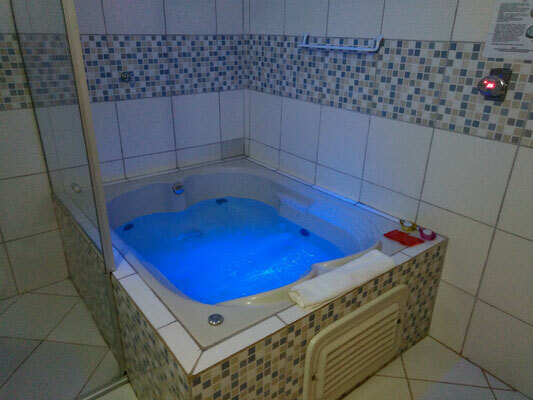 The bathroom has a double whirlpool bath with digital heater, electric shower and a hairdryer. It has a balcony with hammock overlooking the garden and pool. Any type of extra crib is upon request and needs to be confirmed by management. 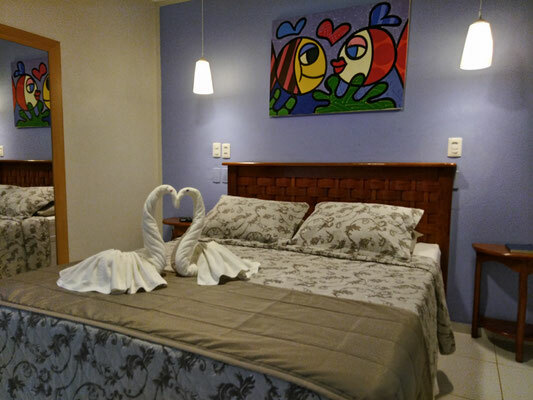 This chalé is the ideal accommodation for 4 guest those families who want to enjoy the pleasures of their holiday to the full, without giving up their privacy and relaxation, or for groups of friends thanks to the excellent cost-benefit. 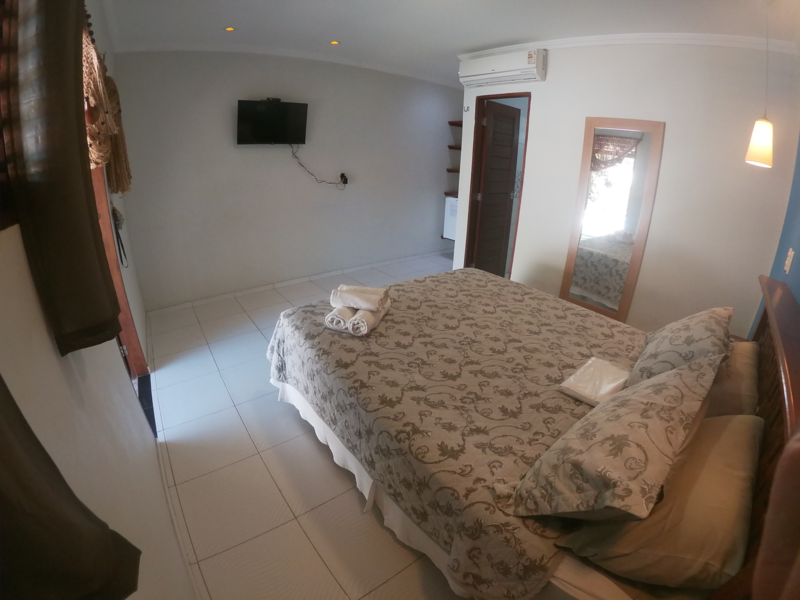 It has two bedrooms with air conditioning, offers: Flat-screen TV, minibar and safe. 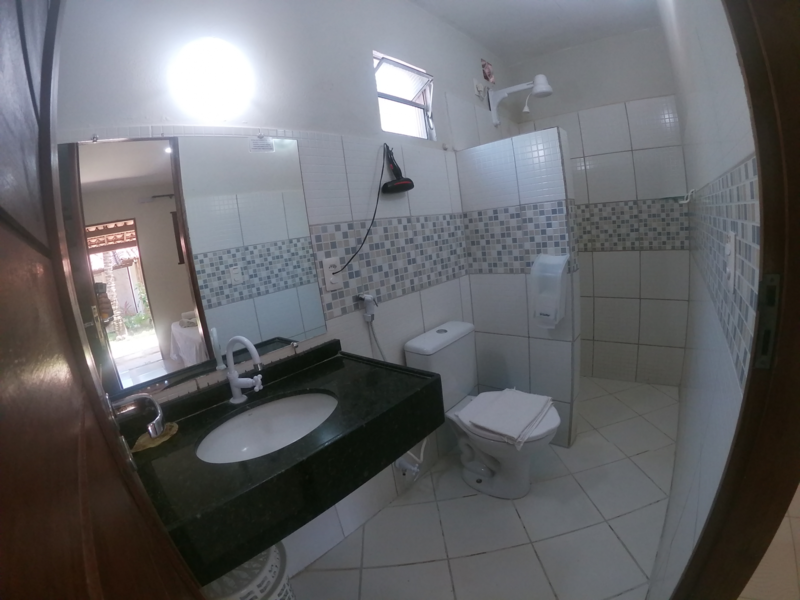 A bathroom with electric shower and hairdryer, balcony with hammock and garden view. 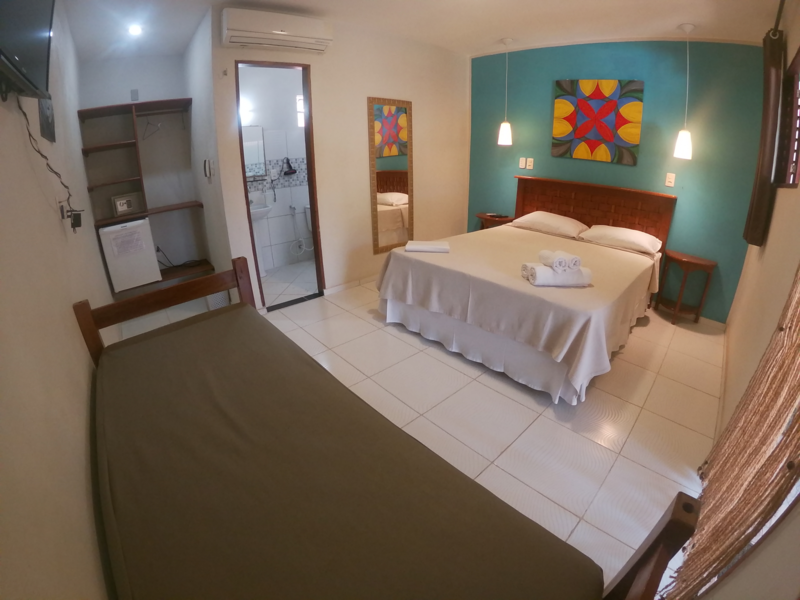 Bedrooms: 1st bedroom with 2 single beds; 2nd bedroom with 1 single bed + 1 bunk bed. Occupancy Max: 5 Guest + 1 Children under 12 years. Crib is upon request and needs to be confirmed by management. Balcony with hammock with garden view. Guests wanting to make a bank deposit in order to secure a reservation need to notify the property through the Special Requests. The hotel will contact guests after booking to provide bank wire instructions. Check-in from 2:00 PM - 22:00 PM; Guests are required to show a photo ID and credit card at check-in. If you plan to arrive after 22:00 PM, please contact the property at least 24 hours before his arrival, using the information contained in confimação booking. For early Check-in or Late Check-out, please contact the property, charges may be applicable. Café da manhã: É servido diariamente das 08:00 H às 10:00 H (incluso na diária). Guests are aware of any compensation mattress, bed linen and bath stained or damaged for any reason. Bring diapers or special covers if necessary. FAILURE TO FOLLOW THESE RULES MAY CAUSE THE CANCELLATION OF THE STAY AS MAINTAIN FORM OF WELFARE OF OTHER GUESTS, ONCE THE FIRST WARNING ORAL WITHOUT CHANGE OR AGREED TO PACKAGE THE REST OF THE REFUND. Cancellation and prepayment policies vary according to rate type. Please enter the dates of your stay and check the conditions of your required room. Check-in from 2:00 PM; Guests are required to show a photo ID and credit card at check-in. 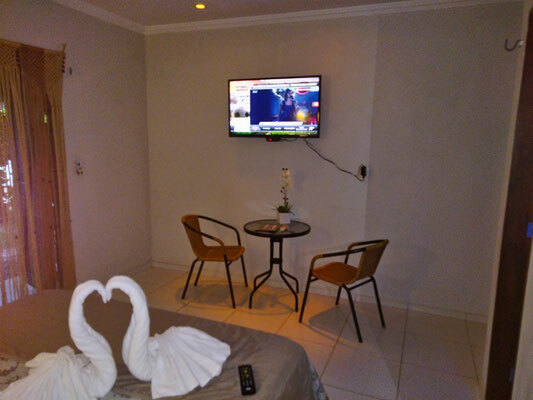 If you plan to arrive after 9:00 PM, please contact the property at least 24 hours before his arrival, using the information contained in confimação booking. For early Check-in or Late Check-out, please contact the property, charges may be applicable. The Booking is effective after confirmed with the respective payment. The nonsuit of stay on arrival or after entering in the hotel, as well as early departure for any reason will not be entitled to any refund, cash refund, credit or new daily, leading to total loss of the amount paid by the package or daily.